Berkeley House is an attractive mid-block building at 120 Central Park South with a handsome entrance marquee. It has a two-story limestone base, a doorman, an attended elevator, discrete air-conditioners, a garage and no sidewalk landscaping. This block, between the Avenue of the Americas and Seventh Avenue, is the most elegant on Central Park south as it boasts the great Art Deco rooftops of the Trump Parc building on the east end and the Essex House mid-block as well as the spectacular, green mansard roof of Hampshire House mid-block and the imposing Italian Renaissance-palazzo-style New York Athletic Club on the west end. Like all Central Park South buildings, this building has great vistas of Central Park and the skylines of Upper Fifth Avenue and Central Park West. The 20-story building was designed by Hyman Isaac Feldman in 1942. It has 100 cooperative apartments and was converted in 1980. 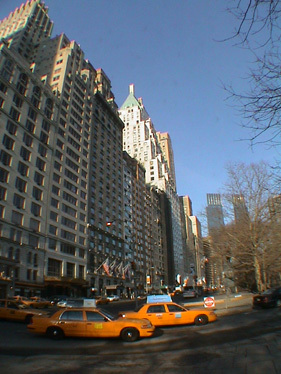 Historically, Central Park South was for many decades a surprisingly unattractive location despite its great views because of its narrow sidewalks, high traffic, a proliferation of street people who patronized guests at its many hotels and a lack of normal residential neighborhood amenities. 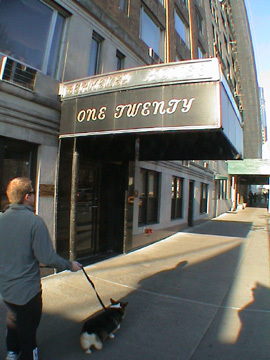 At the end of the 20th Century, however, its ambiance improved significantly with the erection of several new luxury towers nearby and the opening of new restaurants and a supermarket not too far away and the long-delayed redevelopment of the New York Coliseum site at its western terminus where the Time Warner Center opened in early 2004 with a very large Whole Foods store in its basement. With the elegant stores of Fifth Avenue and the boutiques of Madison nearby to the east and the varied attractions of the Lincoln Center district a few blocks away to the west, this location is now very prime.